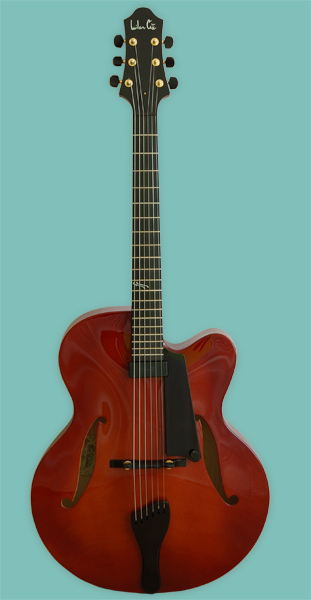 Shape: Arch - top guitar with body size 17"x3". 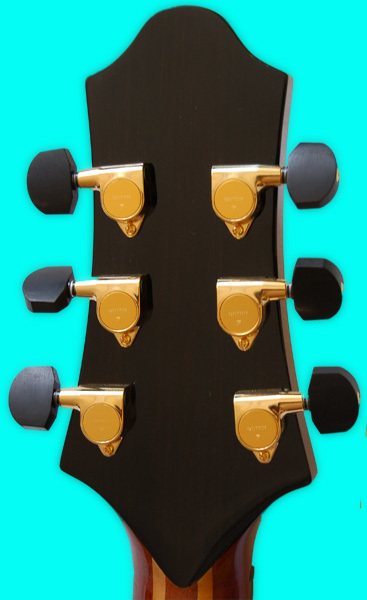 All components of on guitar are made exclusively from ebony and metallic parts in the gold or black finish. 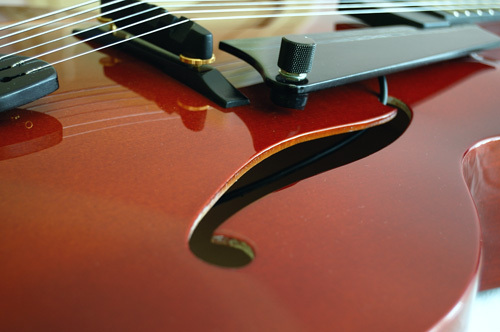 Body: An ebony design without binding gives the instrument colour shade pureness and simplicity. Soundboard: with parallel braces and big "S" sound holes. Neck: Neck is profiled in volts shape top piece with gradual cross - over in U shape with 12 inches radius and central (medium) frets. Neck is mahogany (3 pieces) combined with maple (2 pieces). 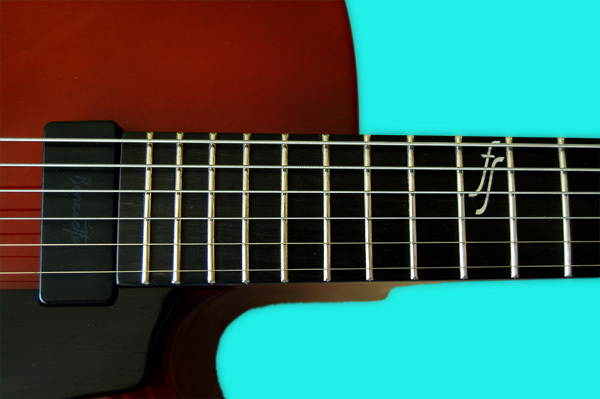 Sound: Sound picking is provide by top - level pickup Benedetto S- 6 in the ebony finish. 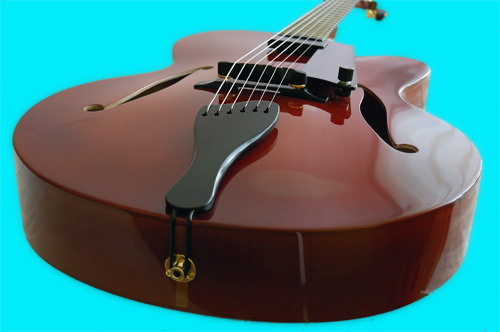 Sound of the guitar is built for play in acoustic orchestras with gentle amplification. In the first place guitar excels as an acoustic instrument, where are mellow all acoustic facilities of a spruce and maple.